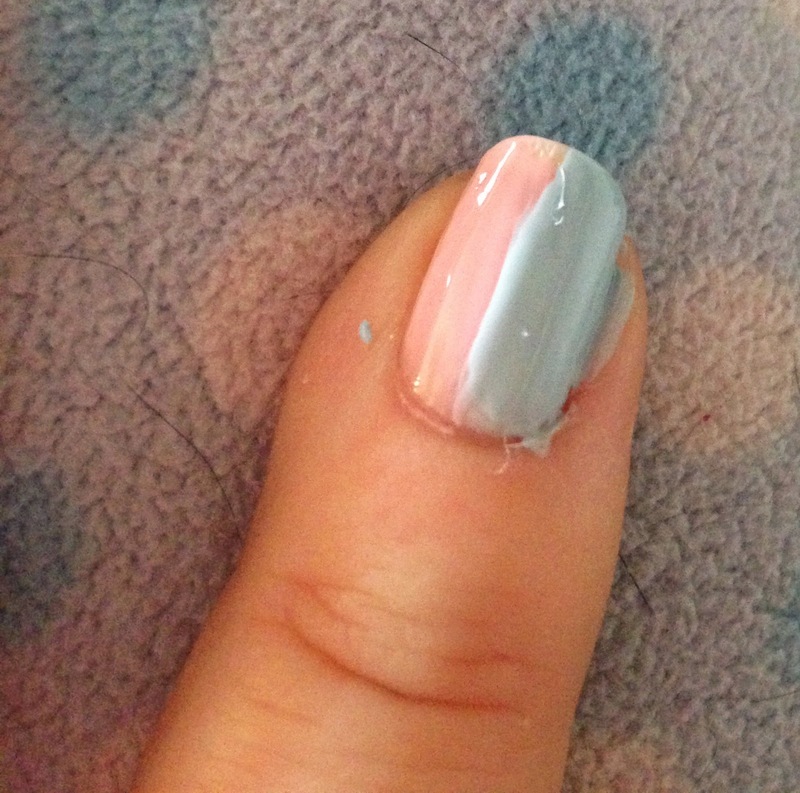 I thought I would share this spring manicure, with the light colors it sure is spring-like. 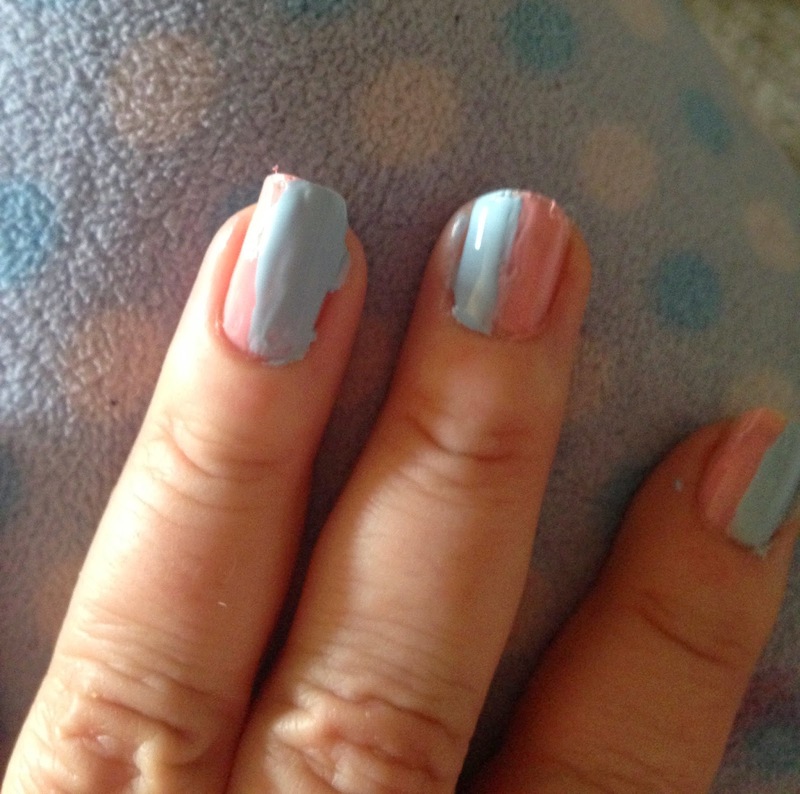 I used a bobby pin to make the dots and a light pink and blue nail polish. It is such a simple manicure and it looks great! You can leave it like this but I wanted something that would "POP"
That is probably the simplest manicure! !